Looking back through history, it is easy to pick out events in a particular year that seem to presage future trends and advancements, and 1949 is no exception. What makes the events of 1949 unique is that so many of them seemed to foreshadow great things to come, only to fizzle on the vine. The year begins with President Truman announcing his progressive "Fair Deal" package of domestic programs during his January 5 State of the Union address. 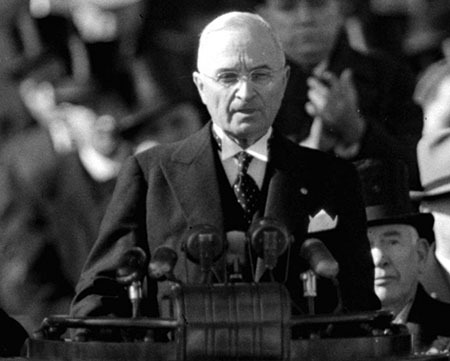 The speech comes just days before Truman is inaugurated for his second (and only full) term as President. The "Fair Deal" harkens back to Roosevelt's "New Deal" programs which helped to lift the nation from the depths of the Great Depression. As a Mid-West populist, Truman may have seen the Fair Deal as his legacy and a continuation of New Deal liberalism, but the legislative package faced a hard road. While the New Deal had been put forward during a time of economic strife, in 1949 America was poised on the leading edge of the post-WWII economic boom. Truman also faced a number of conservative forces in Congress, but the final nail in the Fair Deal's coffin will come in the middle of the next summer when Communist forces drive south of the 38th parallel in Korea. A B-50 Superfortress bomber lands Ft Worth, Texas, on March 2, after becoming the first aircraft to fly non-stop around the globe using in-flight refueling. However, the B-47 Stratojet and the B-52 Stratofortress will enter service and render piston-driven strategic bombers obsolete. Several B-50 airframes will be refitted for aerial tanker duties. Another technology reaching its apex comes when the California Zephyr passenger train enters service between Chicago and Oakland, California. 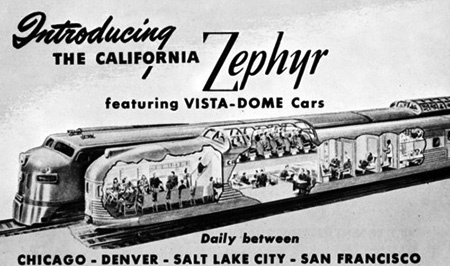 The train features "Vista Dome" coaches and the route is timed to vies some of the most spectacular scenery in the American West, however, as relaxing and efficient as a railroad journey can be, the convenience passenger jet service will steal the Zephyr's ridership. The North Atlantic Treaty is signed on April 4, establishing the NATO Alliance. The purpose of the organization is to counter Soviet military aggression in Europe. The Soviets lift the blockade of Berlin on May 12, and supplies begin rolling into the city by truck and rail. The Berlin Airlift will continue until September, only ceasing operations after a three-month surplus of supplies is amassed, allowing time to restart the Airlift should the need arise. The Chinese Civil War grinds on with Communist forces taking Nanjing on April 23. The Nationalist Kuomintang under Chiang Kai-shek remains the legitimate government of China, as recognized by most foreign powers. When the Communists under Mao Tse-tung enter the capital of Peking on October 1, Chiang and the Nationalists are forced to flee across the Formosa Straits to the island of Taiwan. The Communist forces pursue but are defeated at the Battle of Kuningtou, halting their advance on Taiwan and giving the Nationalists some much-needed breathing room. The question of which government has legitimate authority over the Chinese remains complex and largely unanswered for the next several decades. A statelier transfer of power occurs in the tiny country Monaco when Rainier III becomes Prince after the death of his maternal grandfather, Louis II. At the Majestic Theatre on April 7, Rogers and Hammerstein's South Pacific opens and will run for 1,925, the second longest running musical after Oklahoma! Many of the songs will become part of the American standards, and the most of the plot revolves around sailors and nurses half a world away from home, especially Nellie who falls in love with a debonair French planter living in the Islands, but a secondary love interest grows between a dashing Lieutenant and a Tonkinese girl, exploring the nature of love, familial expectations, and color prejudice. The Federal Bureau of Investigation releases a report in June names several celebrities including Helen Keller, Dorothy Parker, Danny Kaye, Fredric March, John Garfield, Paul Muni and Edward G. Robinson as members or former members of the Communist Party of the USA. The report touches off a movement which will be labeled the Second Rd Scare, the first Scare having occurred during the 1920s, soon after the Russian Revolution when there seemed nefarious influences in the American Labor movements. The Second Scare will be better known for bringing to prominence a junior US Senator from Wisconsin named Joseph McCarthy. The same day that the FBI report is released, George Orwell publishes his dystopian novel 1984, which predicts the growth of unchecked government influence on the lives of individuals, rigidly enforced by the Thought Police. President Truman announces to a shocked world on September 23 that the Soviet Union has test detonated an atomic bomb. The test was discovered largely by accident, a USAF weather reconnaissance flight over the Pacific had expected to find radioactive debris in the atmosphere from US testing, but the high amount discovered could only be accounted for by a Soviet Test. The Soviet device, nicknamed "Joe 1" by Western observers, had been exploded on August 29, much to the surprise of the West. It was known that the Soviets were engaged in an atomic program, but it was believed that they were several years away from being able to test. However, the Soviets were beneficiary to espionage which had taken place within the Manhattan Project, and Joe 1 was very similar in construction and function to Fat Man, the American device exploded over Nagasaki. In his January 5 State of the Union Address, President Truman announces the elements of his "Fair Deal" Program. The proposed legislative package harkens back to Roosevelt's "New Deal" and is intended to be the framework of government's domestic agenda for the next few years. The goal of the program is to spread the benefits of post-War abundance to all levels of society, unfortunately, by this point Congress is dominated by conservatives, making the Fair Deal a hard sell. Additionally, the Korean Conflict will cause a rise in government spending for the military, leaving little or no funding for the Fair Deal. Truman will take the oath of office for his first full term as President of the United States on January 20. 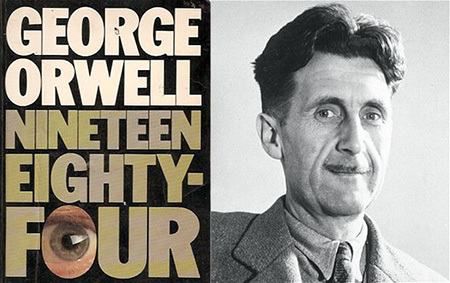 George Orwell's dystopian novel 1984 is released in on June 8, and will come to be seen as a cautionary tale of the dangers extreme government intervention in people's lives and the dangers of succumbing to "Big Brother". On the same day, the FBI releases a report naming celebrities including Helen Keller, Dorothy Parker, Danny Kaye, Fredric March, John Garfield, Paul Muni and Edward G. Robinson as Communist Party members. The release is a trigger of the Second Red Scare, which will be better known as McCarthyism. The London Declaration is announced on April 28, provisions of the Declaration include a mechanism for members of the British Commonwealth to become Republics while remaining a part of the Commonwealth, enabling Indian independence. The organization of member states will no longer be referred to as the British Commonwealth but will now call itself the Commonwealth of Nations and the reigning British Monarch will hereafter be known as the Head of the Commonwealth. Death of a Salesman, Arthur Miller's great tragedy, opens in New York on February 10. A B-50 "Superfortress" lands on Fort Worth, Texas, on March 2 after becoming the first aircraft to fly non-stop around the world, the flight was made possible by four mid-air refuelings. The California Zephyr passenger train begins service on March 20 between Chicago and Oakland, California, featuring Vista Dome cars as regular equipment. South Pacific starring Mary Martin and Ezio Pinza opens on Broadway, April 7, premiering the song "Some Enchanted Evening". Upon the death of his grandfather Louis II on May 9, Rainier III becomes Prince of Monaco. The merger between the Basketball Association of America and the National Basketball League is finalized on August 3, creating the National Basketball Association. 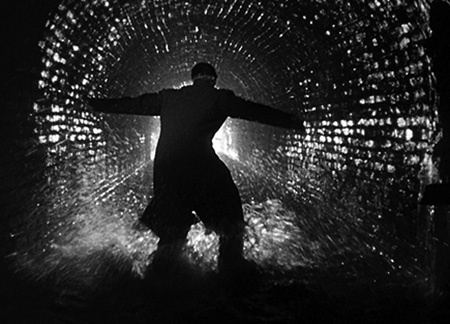 The Third Man starring Joseph Cotten and Orson Welles is released on September 2, it will when the Grand Prix at the Cannes Film Festival on its way to becoming a film noir Classic. The Squaw Valley Ski Resort opens in California on November 24. Forces of the People's Liberation Army peacefully seize control of Peking on January 31. The PLA drives the Nationalist Kuomintang from their capital in Nanking (Nanjing) on April 23 and the Republic of China government moves to Taiwan (formerly Formosa). Mao Tse-tung declares the formation of the People's Republic of China from atop Tiananmen ("the Gate of Heavenly Peace") on October 1 and declares Beiing the new capitol, restoring the traditional name to the city. Both the ROC and the PRC claim to be the legitimate government of all China, and there has been considerable diplomatic tension over the years as nations decide which side to recognize. The North Atlantic Treaty is signed on April 4, creating the NATO Alliance primarily to stand up to possible Soviet Aggression in western Europe. The Soviets lift the Berlin Blockade on May 12.The Soviet Union secretly tests an atomic device in the Kazah SSR. 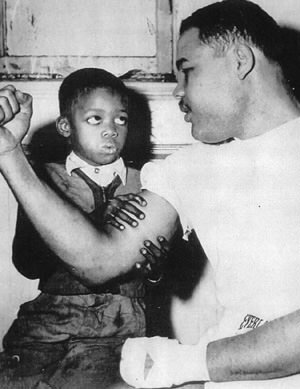 The 22 kilo-ton device, nicknamed "Joe-1", is a plutonium implosion bomb, very similar in design and function to the American "Fat Man" device which was detonated over Nagasaki.The Soviet Atomic Bomb Program was aided by spies who had been planted in the American Manhattan Project during WWII, accounting for Jo-1's similarity to Fat Man. 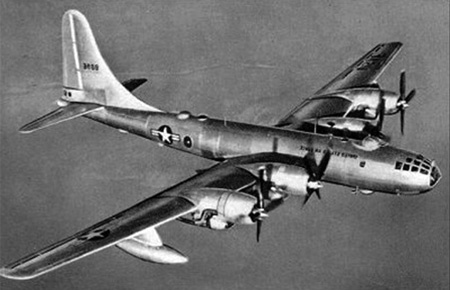 Western experts did not expect the Soviet Program to conduct a test until 1954, and Joe-1 would have gone undetected if not for a USAF weather monitoring flight over the Pacific finding more atmospheric radiation than expected. The Soviets were likely as surprised by President Truman's announcement of detecting the test as the West was by a Soviet bomb. 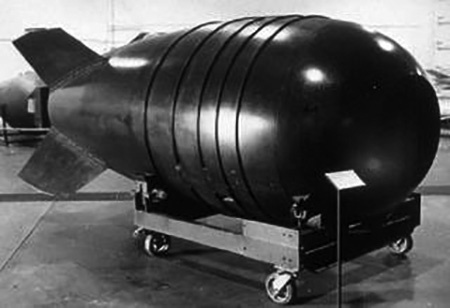 The development led to increased priority to developing the hydrogen bomb. An anonymous shadowy figure appears at the grave of Edgar Allen Poe for the first time on January 19 (the poet's birthday) and raises a glass of cognac in salute of the poet's memory, the mysterious tradition of the "Poe Toaster" will continue for 75 years.The rationing of clothing in Great Britain comes to an official end on February 1. Heavyweight champion Joe Lewis announces his retirement from boxing on March 1. Astronomer Fred Hoyle coined the term "big bang theory" on a British broadcast on March 28. The last six surviving Civil War veterans gather on August 28 in Indianapolis. William Unruh kills 13 of his neighbors in Camden, New Jersey, on September 6 using a war-souvenir Luger pistol, becoming America's first "spree-killing" mass-murderer. On September 29, Iva Toguri D'Aquino is convicted of treason for broadcasting as "Tokyo Rose" during WWII. Dutch businessman Ben Pon brings two 1949 model Volkswagen Type 1 Beetles to America on January 17, but only 2 cars are sold in the US, leading many to believe that the small car has no future on this side of the Atlantic. The first Type 2 panel van will come off the Wolfsburg assembly line on November 12. Dodge launches the Coronet as their first new body style since the War. The Oldsmobile 88 is introduced and will become th first "King of NASCAR" until superseded by the Hudson Hornet in 1952. Luxury is defined by the Rolls-royce Silver Dawn introduced this year. International Harvester launches the L-Series truck line which feature electric wipers, radio, and an optional clock on the dashboard. 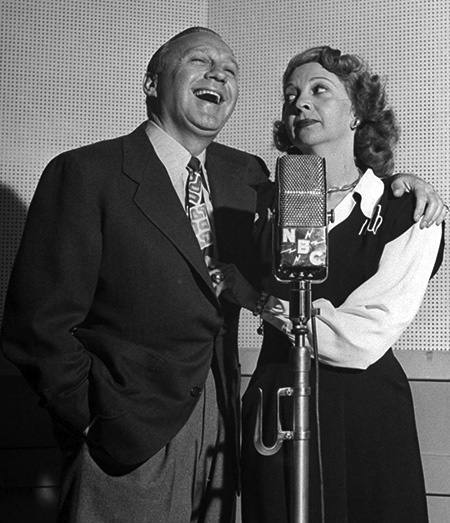 The "CBS Talent Raids" result in the The Jack Benny Program appearing on CBS Radio after a 16 year run on NBC. 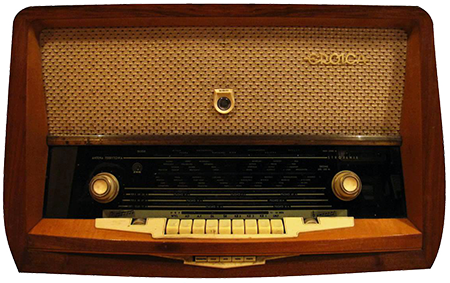 "Listener sponsored radio" is born when KPFA FM in Berkeley, California, goes on the air April 15. Yours Truly Johnny Dollar and Broadway is My Beat first appear on CBS while NBC debuts Father Knows Best and Dragnet. Manhattan Merry-Go-Round, Mayor of the Town, and Captain Midnight all go off the air this year. Be the first to comment on "1949"